We're thrilled to announce that we began an extensive clubhouse renovation on January 23, including the 19th Hole tavern. The scope of the project involves new carpet and wallpaper throughout the entire facility as well as new furniture for the guest seating area and new lockers for the ladies locker room. During renovations, the 19th Hole will be offering limited hours and a limited menu. 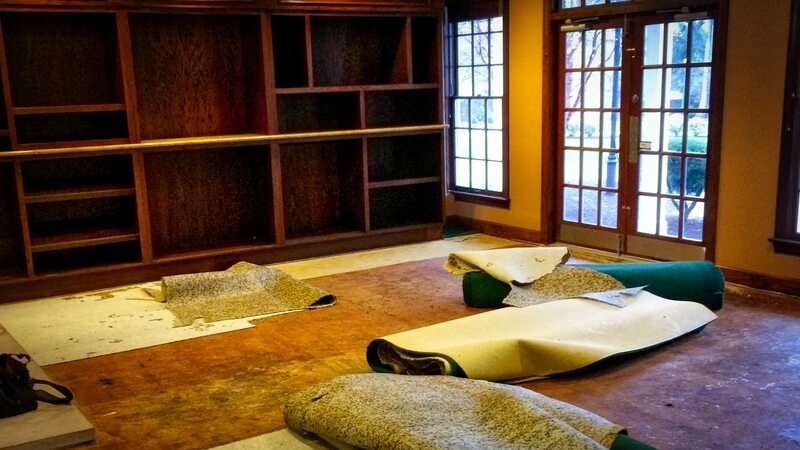 Our Griffin Gate Golf Shop will be closed during renovations and we apologize for this inconvenience. Check-in for golfers will be relocated to the 19th Hole. Scott Bender, director of engineering and grounds for Griffin Gate Marriott Resort & Spa projects the project will conclude by Saturday, February 19! We're looking forward to an amazing new clubhouse which will provide increased enjoyment for both members and guests.